Squad is a military shooter with a heavy focus on team-play and authentic game-play. Commonly squad is played with two large teams of 40 players each, from US Army, Russian Army, and Insurgents; that battle with infantry as well as mechanized and motorized elements to secure and hold objectives against the enemy team - score usually is kept by tickets. You can play several roles, all essential to a cohesive team element; the sort of element that wins. shots with a sniper rifle? Squad is an unsupported game, so add USG to your jacket if you play an OP in the game to earn credit. the game’s popularity in Black Widow Company. The new story, on the new planet of “Mars” focuses on the Hive and their arctic adventures with a “Warmind” prewar super-tech that defended humans during the Golden Age is reactivated for use with the Vanguard. Collectibles, add-ons to exotics called “catalysts”; and new cosmetic items based around the new story and planet are also available. The Escalation protocol is new end game activity. The end game barrier has been extended to level 30 and power level 380, or 385 with modded armor and weapons. It is a wave defense system with a system of difficulty that increases as you progress. The ‘Valkyrie,’ a javelin spear that’s on fire, lots of fire, is accessible during the protocol. There is a new raid. Raids tend to take a couple hours with a decent team and going all the way through. The new raid is subdivided into activities that lead to a final boss as all other raids. Factions, brought back from Destiny 1, are groups your characters can join for a month. During their rally you gain increased renown. Every month you can rejoin a group or join a new one. Renown has revamped public events, in that public events, patrols; and killing high-value/yellow targets grant renown points up to five. Each renown point makes it more difficult for your character to survive and deal damage. If you complete lost sectors with renown, your loot will be multiplied in that you will gain more FACTION tokens and clear your renown, the higher the renown the higher the multiplier. No fast traveling though! Dying removes one point of renown. BWC’s own Brokili has helped with the reemergence of D2 in our outfit by bringing in his friends and organizing operations, which has invited more members to play. Enjoy the new Destiny 2 expansion, another one is dropping September! Destiny 2 is an in our unsupported game regiment and offers all BWC members a great opportunity for quality gaming, team building and event participation. 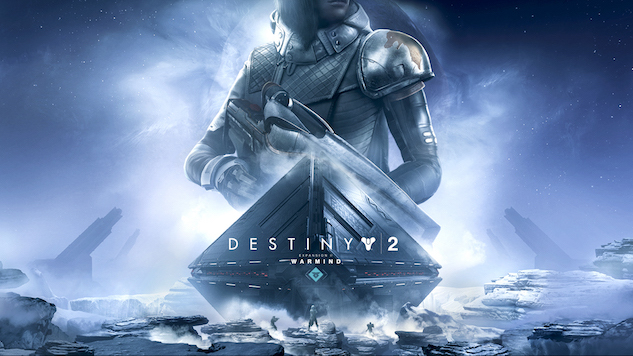 Featuring tactical variety, fun and engaging gameplay mixed with competitive elements, Destiny 2 espouses the “One Team, One Fight” ethos that BWC centers itself upon perfectly.